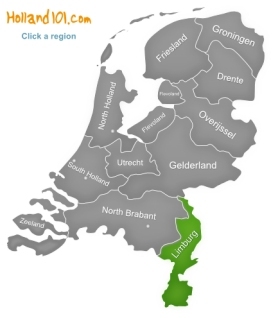 The Dutch region of Limburg is a European melting pot as it shares more of its regional borders with the neighbour Belgium and Germany than with the other regions of Holland. 1.1 million people call Limburg their home, and it is the kind of region that combines historic and modern buildings in an interesting architectural mix. 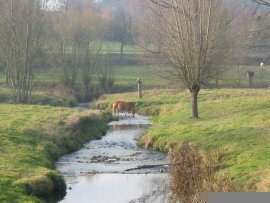 The region Limburg is partially also a Belgium region because historically speaking, Limburg wasn't always just a Dutch or Belgian region but a region on its own. The region was inhabited over 250,000 years ago, and over time has gone through the rule of different rules. The French, the Romans, the Prussians, and the Spanish each had their go at being the rulers of Limburg, and you can still see how the different cultures left a mark on this Dutch region. In 1893, Limburg was then divided into two parts: one part remained in Holland, and the other part of Limburg became a Belgian region. In the 20th century, Limburg was a main supplier of coal, but when the mines were closed in the latter part of the 20th century, the economy focused on the automotive and chemical industry because the 75,000 people who lost jobs because of the mind closure needed to find another way of earning their living. For visitors, Limburg is interesting because of the many hiking and biking pathways that make it easy to travel from one village and city to the other – but of course there are also great connections via trains and buses if you would rather spend more time with history and heritage than with wandering and cycling around. 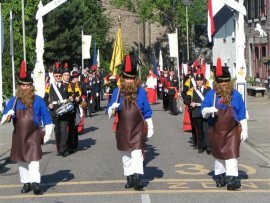 Limburg also has its own language: Limburgish, however, you will only hear it spoken very rarely as most people speak the official language: Dutch. Maastricht is a very historical place and is, of course, also important because of the Treaty of Maastricht. It is one of the three oldest cities in Holland, and thus has a lot to offer when it comes to history and heritage. 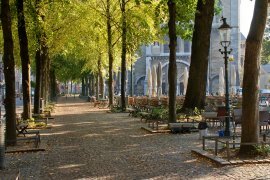 Even though Maastricht is not small, all the important places can easily be explored on foot. There are Patrician houses, old churches, and many museums in which you can learn more about the history of this important and fascinating city. There are also plenty of sights that you can explore, like the 20,000 tunnels in the caves of St. Pieter and the impressive Maastricht Basilica. Kerkrade is not the most popular city for tourists, but people who do have an interest in history and heritage will find that Kerkrade has a lot to offer when it comes to information and to interesting history. 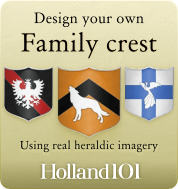 In the past, Kerkrade used to be part of the historic city of Herzogenrath, but over time turned into its own city. The Erenstein Castle from the 14th century is worth a visit, and the Groenmetropool is the right place to go to if you would like to learn more about the industrial history of the region around Kerkrade. Valkenburg is interesting because of the Mergelgrotten, an underground cave world. The town itself is quite small but is well connected to Maastricht and Aix-la-Chapelle. People who visit this town usually combine a visit to the fascinating Merkelgrotten with a visit of the lovely castle ruins. The Valkenburg area is fantastic for people who would like to make the most out of their holiday as there are plenty of things to do. You can visit the fairy tale park Sprookjesbos, walk around some underground tunnels, and have a look at a multitude of interesting museums. Once you become a bit tired, you could take advantage of the thermal pools in the wellness centres. For people who are interested in the Roman history of the region, there is a reconstruction of Roman catacombs in the Marl caves. The Parkstad Limburg is a typical Dutch tourist destination that is popular with local and international visitors alike. The nickname of the city is “Orlando on the Mass”. The city has a surprisingly high number of interesting museums, and there are plenty of special monuments. In the past, the region was quite important when it came to the mining of coal, so it is just natural that you can also learn quite a bit about the mining history of Holland in the Parkstad Limburg. There is also a steam railway that you can use to take a leisurely ride. Parkstad Limburg is also the home to Europe's largest indoor ski track, and has a very interesting zoo that you might want to visit if you have the chance.